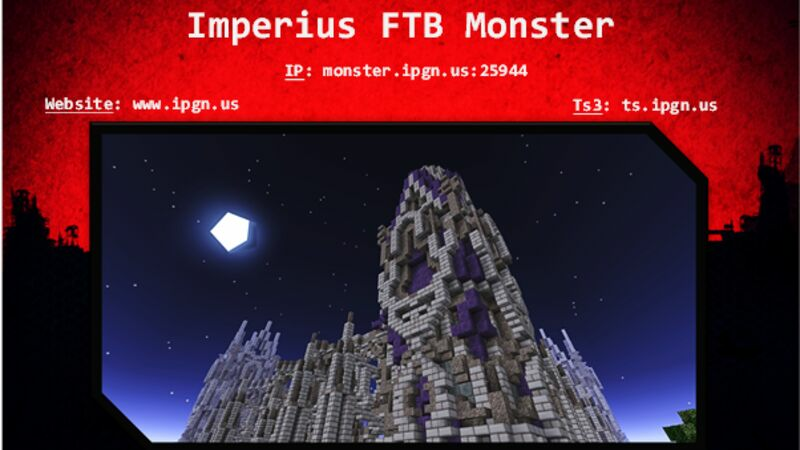 The Imperius Gaming Network's-Feed the Beast-Monster server! 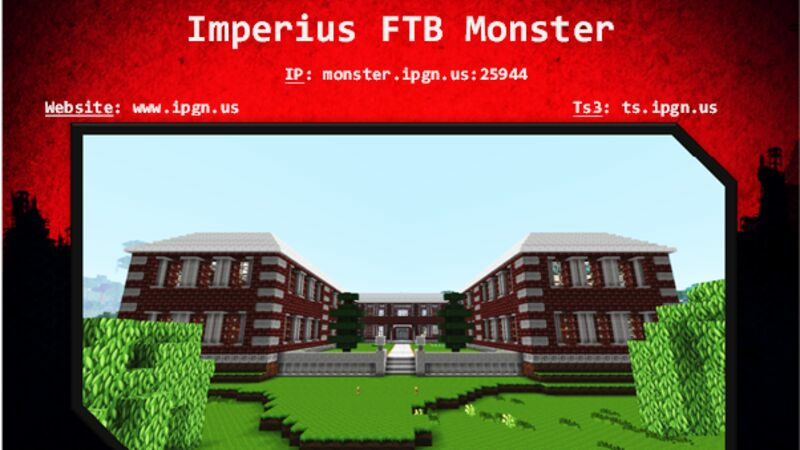 Our server runs on the 1.1.1 version of the Monster pack for FTB. We have a multitude of plugins to enhance your experience! We have friendly staff and a great community. 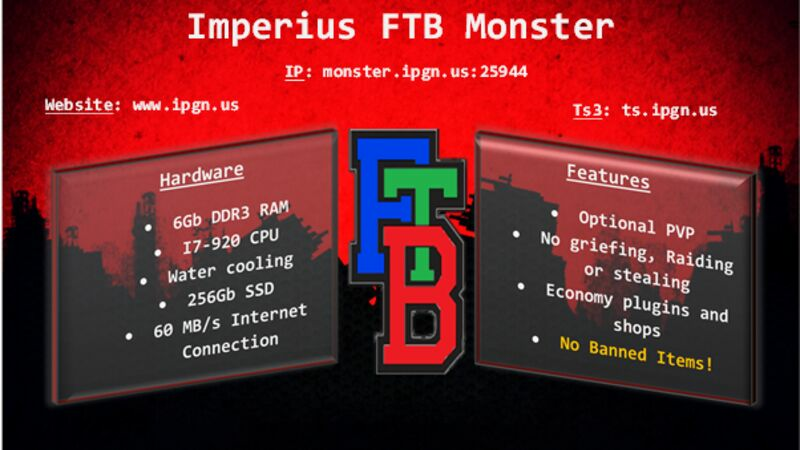 We run no-grief and no-pvp (optional) rules which are enforced by our experienced staff team. We have NO BLOCKED ITEMS! only a ranking system where the longer you spend on the server the higher rank you get! 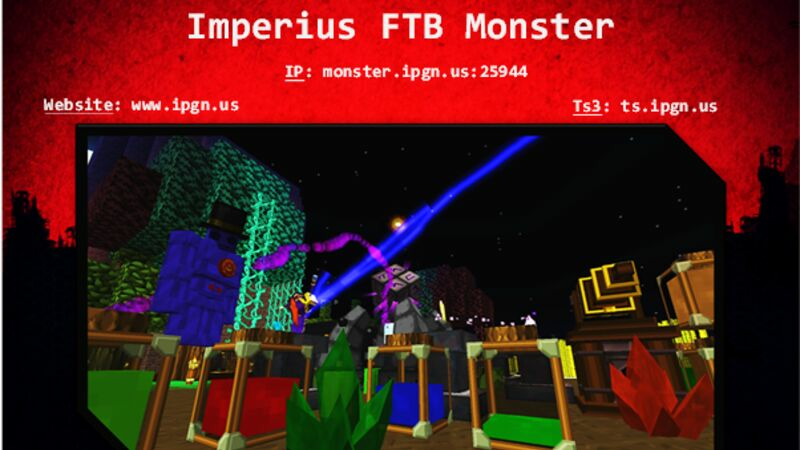 We have grief prevention and pvp toggle so its easy to protect yourself from other players. We have Lightvote so players can choose the weather and time. 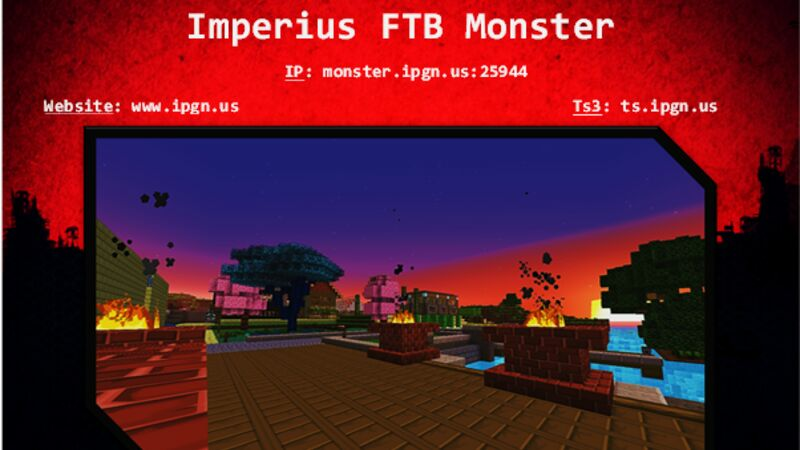 Our map was recently generated with a custom world generation including biomes o' plenty. We own our server hardware which is a powerful combination of 10gb of ram, an SSD and an i7 processor, resulting in a lag-less experience!